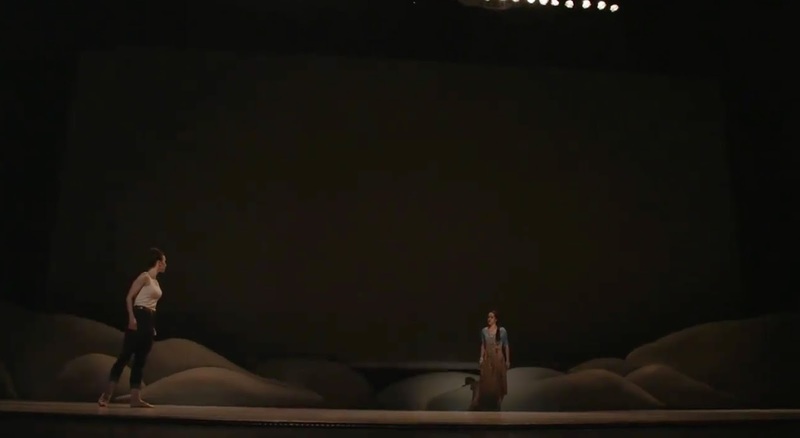 of Alberta Ballet's 2016 production of Balletlujah. I wish you could see this. 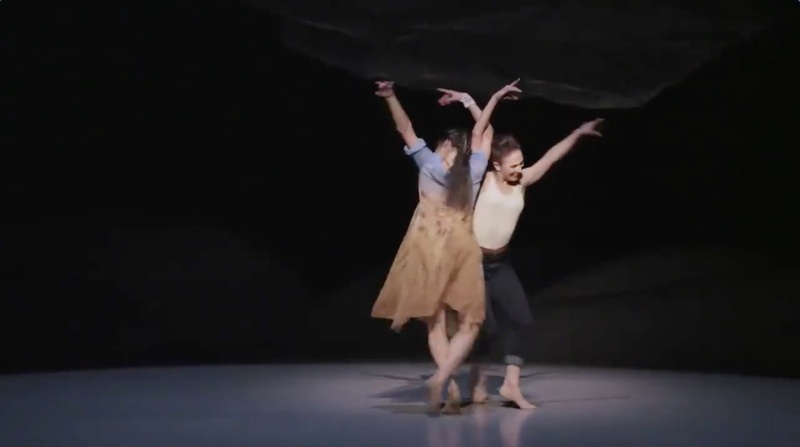 The work is a single act from Alberta Ballet’s production of Balletlujah. The dancers dance to k.d. lang’s transcendent version of Leonard Cohen’s Hallelujah. The stage is empty. The scene is set. Two young women circle each other, keeping eye contact. Tentative at first. Wondering. Searching. Risking and reckless, as love always is. Meeting at centre stage. There is a man, achingly and quintessentially alone. He moves the way a cellos sounds; in long, lovely strokes. Deep and lonely. His dance is an agony. A question. A grappling. He pivots around an absent centre, in what would be called a death spiral, if he were skating, and if he had a partner. A man and a woman dance as if no-one else exists. A young woman, full with maternity, strokes her belly. The single man reappears, on his back, kicking and spasming like an insect in death throes. He rights himself. Finds a rope to hang from, and swings from it. The young mother returns to find him dangling. A group of people converge, then disperse. The stage is empty again. The two young women return; circle each other. Come together in their symmetry. Find their completion in each other; in a kiss. Love is not a victory march. It’s a cold, and it’s a broken hallelujah. Mother, artist, poet, teacher, traveller; by turns and all at the same time. Intermittently searching for beauty and truth -- the hopelessly flawed and the perfectly formed.